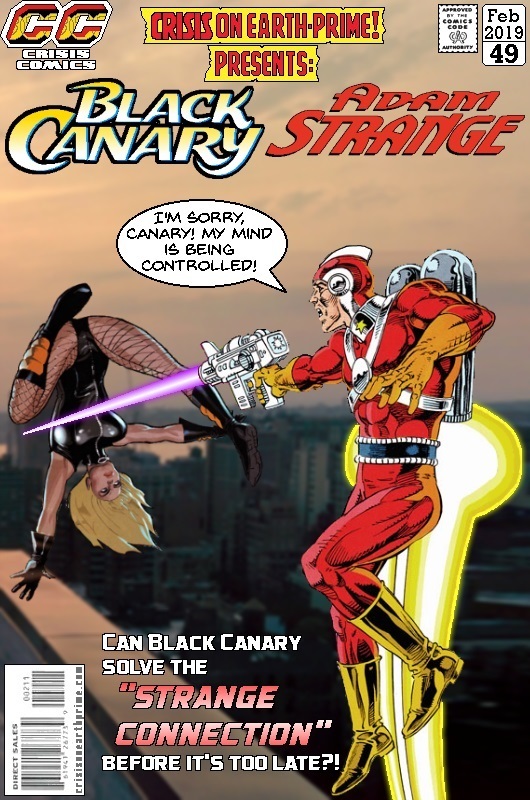 Posted on Wednesday, February 6, 2019 Friday, January 11, 2019 by GaryPosted in Mash-UpTagged Adam Strange, Black Canary. Previous Previous post: The Invasion Begins! Nicely done. Never can go wrong with the old-school Adam Strange. As for who drew him, not sure. My first guess was MD Bright from an early 90’s GL story where Strange guest-starred, but as I look at it more, I wanna’ say maybe Pat Broderick. You were right first time – MD Bright from GL #38 in ’93. Really liked his art but I don’t think he’s done much for years – certainly nothing I’ve seen.